This Brazilian island beach was ranked the best in the world. If you’re looking to book an affordable last-minute beach vacation, consider a spot that’s sunny all year round. Beach vacations are enticing any time of year, but a truly great beach can be discovered during the shoulder season and best enjoyed when the crowds have gone away. 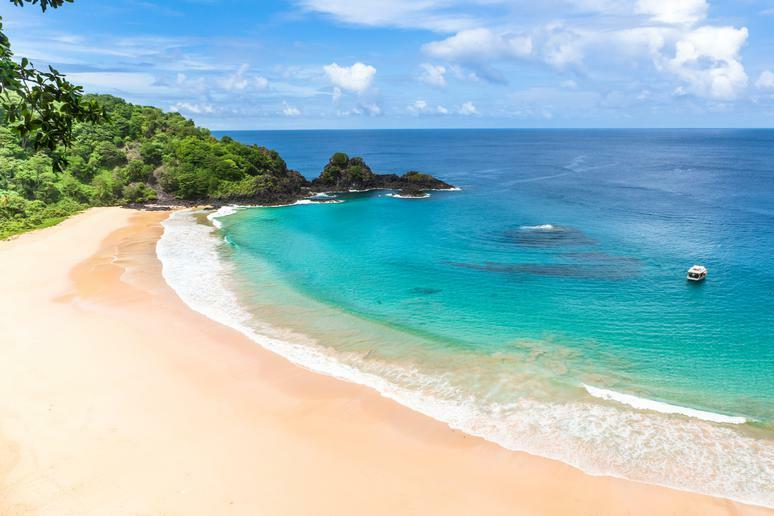 Indeed, the consistently wonderful weather of the Brazilian archipelago called Fernando de Noronha is one big reason why one beach there, Baía do Sancho, was named the best beach in the world by TripAdvisor’s 2019 Travelers’ Choice Awards. After considering 352 beaches from around the world, the travel website released its list of the top 25 on the planet, with this popular tourist spot taking the lead. Also known as Sancho Bay, the beach is located 220 miles off the coast of Brazil and only accessible on foot or by boat, leaving it relatively untouched and absolutely gorgeous. Because the South Equatorial Current brings warm water to the island from Africa, the popular diving spot doesn’t require wetsuits any time of year. Towering cliffs surround water so stunningly clear that swimmers can see underwater at up to 160 feet, and if you climb to the top, you can snap an amazing photo of one of the most spectacular beaches in the world.